Empaths and Highly Sensitive People (HSP) often find themself in stressful situations due to their highly sensitive system. Not catching early on their sensitivity often wrecks havoc for them making it challenging for them to cope with stress. If not realized and handled earlier with a stress coping skills. They may find themselves in involved in addictive harmful habits. Watching to much tv, drinking excessively, gambling uncontrollably, involve in drug abuse, and binge eating. Many obsessive behaviors and types of addiction may developed for highly sensitive people in an attempt to relief stress and pressure from the ever demanding world. Which is why it is so crucial for empaths and HSP to find stress management techniques that work for them when it comes to dealing with stress. This entry was posted in -Daily Care Tips For Empaths, -Empath Solutions & Tools and tagged addiction help, coping skills, coping with stress, dealing with stress, drug abuse, empaths, harmful habits, highly sensitive people, how to cope with stress, stress coping skills, stress management techniques, stress relief on October 10, 2011 by EmpathSolutions. Empaths and Highly Sensitive People (hsp) have a sensitive system compared to the majority of the population. If we don’t take responsibility for ourselves we may find ourselves involved in risky behaviors to cope with the sensitivity. It’s such a sad sight when Empaths don’t catch on to their sensitivity and realize there’s an alternative solution. It’s like a bum sneaks in and crashes in your house. Hooligans vandalizing your home. Graffiti devaluing your property. It’s basically what’s happening. If you drink, smoke, gamble, binge eat, do drugs, take heavy medications or whatever your unhealthy addictive behavior is… it’s dimming your awareness. And as Empaths & HSP, we highly depend on our awareness to stay present and make sound decision for our highest good and well being… to LIVE. Without it, we can loose grip with coping with the normal day to day situations. And creating the safe personal zone. This entry was posted in -Daily Care Tips For Empaths and tagged addiction, addiction help, addictions, alcholism, coping skills, coping with stress, dealing with stress, drug abuse, empaths, harmful habits, highly sensitive, highly sensitive people, higly sensitive person, how to cope with stress, hsp, sensitive people, stress coping skills, stress management techniques, stress relief, types of addiction on June 27, 2011 by EmpathSolutions. Being an empath can feel like a curse instead of a gift. This is especially so when we don’t know how to deal with it. Moreover, we can feel like a victim to the different things happening around us… Even feel things going on are bigger than us. Taking in so much emotion, thoughts,and physical pain of others we can feel overwhelm and over consumed by the intensity. When it feels like it’s just too much, this one phrase could help you put things into perspective. I picked this up from a good friend and teacher of mine, Dr. Michael R. Smith. If you want to learn more about being an empath and how to work with your gifts and abilities, or simply just need more guidance, or pick on a skilled empath’s brain (who has over 15 years of experience in helping empaths and highly sensitive people (HSP) connect with their highest self bringing out their full potential) I highly recommend you to get a copy of his ebook The Complete Empath Toolkit: 44 Practical Steps to Master Your Energy and Personal Power. It’s a life saver! He is truly a gift and inspiration to us fellow empaths for the work he does. We can always use more people with loving heart and patience. Michael is definitely shaking up the world with his work. I invite you to join us in the journey of discovering your unique abilities. I’M READY TO WORK WITH MY GIFTS —> Click Here to Get Started Now! This entry was posted in -Clearing Negative Energies, -Empath Solutions & Tools, -Recommended Resources, -What Is An Empath? and tagged an empath, Complete Empath Tool Kit, Dr. Michael R. Smith, empath, empath a curse, empath a gift, empath abilities, empath book, empath help, empathic, empathic abilities, empaths, highly sensitive people, hsp, intuitive empath, Michael Smith, Michael Smith's ebook, resources for empath, skilled empath, The Complete Empath Toolkit: 44 Practical Steps to Master Your Energy and Personal Power, what is an empath on June 20, 2011 by EmpathSolutions. Are you drenched in others’ negative energy? If you are an Empath or a highly sensitive person (HSP) more than likely you are carrying their STUFF around. As an empath and HSP you have a different built in sensory system. It’s more fine tune making you very sensitive to those around you and your environment. So you can be easily influenced by them. If the feelings aren’t coming from you, try changing your environment…simply get up and move to another location. More than likely, it may be a nearby person’s or people’s emotions and feelings. Or that place’s energy is just funky. Great example of other people’s negative energy wearing you down is being stuck in traffic. There’s a lot of different energy and feelings going around…boredom, sick, anger, fatigue, anxious, and exhaustion just to name a few. And as an unskilled empath and HSP you could very well have taken in some of these energy…and already covered up in these energy, whether good or bad. That brings me to share two SECRETS…my absolute personal favorite cleansing necessities for Empaths and highly sensitive people (HSP). Remember even as Empaths and HSP, we are still unique individuals so what may work for me may not do the same for you. Please explore and see which suggested products works and feels better with you. Now with that said, the two most helpful and crucial cleansing materials for me as an Empath are (1.) Dr. Bronner’s Hemp Lavender Pure-Castile Soap made with organic oils and (2.) 100% natural mineral Epsom Salt. When you take a shower and cleanse yourself with these items, it works wonders! 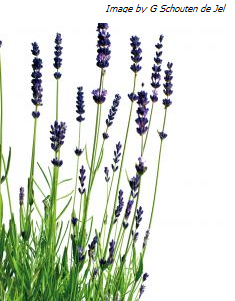 …because the Hemp Lavender soap soothes, relaxes, and calms you. And it smells great! Then after you rinsed that off, you do your Epsom Salt cleaning. Oh, I just love how the salt melts and soaked away the heavy dense sensations. The Epsom salt acts as an astringent that pulls the negative energy, heat, and heavy feeling away. To me, it’s one of the fastest effective way to cut the psychic cord between you and others’ energy. Besides that, there are many other healing benefits to this truly miraculous mineral. Epsom Salt is also a soaking aid for minor sprains and bruises. A saline laxative for the short-term relief of constipation…and it also reduces stiffness and soreness in joints, comforts your muscle aches, alleviate pain from sports and overexertion, take the sting out of insect bites, soothe away stress, deep clean your skin and pores, and soak away tiredness and soreness. I highly recommend taking an Epsom Salt bath (especially if you’ve been doing energy or emotional work) so you may experience some of its’ benefits today…so settle in and experience the relief. Virtually almost anyone can benefit from it. Apply the tips mention above when you feel like a cleanse is needed to cut the pyschic cord. These two tips can raise your mood and vibration. Do not, I repeat do not wait till you feel sick or have hit rock bottom to do something about it. If you can spot it, you bring more awareness to your healing. Lift yourself up, don’t wait for external occurrences or others to entertain you or your environment to change for you to start feeling better. You are capable and able to change your own state of well-being and happiness. 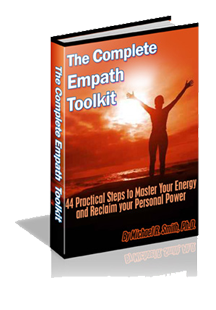 For more helpful energy tips and techniques to help Empaths and Highly Sensitive People, check out Dr. Michael R. Smith’s The Complete Empath Toolkit here. This entry was posted in -Daily Care Tips For Empaths, -News and tagged 100% natural mineral epsom salt, bath salts, bathing salt high vibration, bathing salts, bring more awareness, bulk bath salts, cleaning for empath and hsp, cleaning the negative energy, cut the cord, cut the psychic cord, daily cleanse for empaths, Dr Bronner, Dr.Bronner’s Hemp Lavender Pure, empath, empaths, Epsom Salt, epsom salt benefits, epsom salt to remove negative energy, essential oils to relax and calm, Exhaustion, Fatigue, Feelings, healing, Hemp, Hemp Lavender Pure-Castile Soap, highly sensitive people, how to get rid of negative energy, How To Protect Yourself As An Empath, how to take care of yourself as an empath, hsp, Lavender, Lavender Soap, Natural Mineral, Necessities, negative energy, organic oils, Pure Castile Soap, raise your mood and vibration, Sensitive Person, Sensory System, skilled empath, Slump, solutions for empath, stuck in traffic, what kind of sea salt for removing negative energy, wholesale epsom salt on March 15, 2011 by EmpathSolutions. Please welcome Glenn Smith, author of Lotus Petal, A Parable to Help You to Overcome The Fear of Death. He helps overwhelmed highly sensitive people not only survive but thrive in this world. You as a sensitive person have to accept that you are a combination of Physical, Mental, Emotional and Spiritual energies. What happened to you when you were young was a learning experience that proved to you how much you could handle. When you feel overwhelmed with what life is handing you now, remember that you are strong. Your sensitive body can withstand a lot. Listening to your body will grant you the wisdom of cause and effect. Your sensitive body will instruct you when you have made wrong choices and also right choices. How often now does your body react negatively to the choices you have made? The thoughts you have about hurting the people who have harmed you bring more of the same into your life. Your mind is very powerful. It will create what you think about. Keep your thoughts on the positive. Have your mind work for you not against you. The beliefs you have about yourself will determine how high you can fly. Monitor your self-talk to determine what your beliefs are. Change your beliefs about yourself and your abilities to the positive. Nothing is out of reach if you believe it to be so. When you have emotional overwhelm it seems like you can’t handle anymore. Yet every time it happens you do. Your sensitive emotions are being exercised to be able to handle more. With practice you will be able to hold all and more in your space. The key to feel stable with your emotions is to be secure. The feeling of security to a sensitive person is like the need for water. With out it you would surely shrivel up and die. If you did not have a lot of security growing up, ask yourself what you need to feel it now. You have the ability to sense the underlying energies of others. This is why it is so easy to be overwhelmed by what you see and hear. This is an amazing gift that will give you a huge advantage over normal people. Once you learn to control it you will soar. You have a special connection to the spirit world. Although everyone can access a higher power, you can communicate with it. You are gifted with this ability for a very good reason. Listen well to the subtle clues that spirit speaks to you. It will be healing for you. Remember that there is no such thing as mistakes. They are simply learning experiences and so necessary. You are here to learn and without mistakes you would not learn anything. Embrace them and enjoy them for what they are. You grow with each experience. As a sensitive person you are uniquely gifted to contribute to humanity. It has been written that, “The Meek Shall inherit The Earth.” As a highly sensitive person you are the meek. You are very powerful and have a big role to play. It is time to get the party started. Give expression to your Physical, Mental, Emotional and Spiritual self and you will find success as a sensitive person. This entry was posted in -Empath Solutions & Tools, -News and tagged anxiety, depression, empath, Gleen Smith, helps for hsp, highly sensitive people, highly sensitiver person, how to cope with sensitive, hsp, intuitive, sensitivity, sensory, solutions for sensitive people on March 1, 2011 by EmpathSolutions.